The earliest-known true cheese has been identified in a jar found in an Egyptian tomb, Italian and Egyptian archaeologists revealed on Wednesday. Happily, it wasn’t appropriated by the treasure-hunters who were first to find the grave. More accurately, the specimen is the oldest solid cheese ever found, according to the paper published in the American Chemical Society’s journal Analytical Chemistry by post-doc Enrico Greco of the University of Catania, and colleagues. Chemical analysis of protein chains detected in the specimen reveals that the cheese was made of a mix of milks from sheep, goat and African buffalo, Greco told Haaretz. Intriguingly, the irascible buffalo is not among the domestic animals normally kept and milked in modern Africa. As befits things archaeological, the tomb in question and its resident fromage were first unearthed in 1885, the scientists said. Then they were promptly lost again. Only in 2010 would the tomb and its contents be rediscovered (by French archaeologists) beneath the Saharan sands. 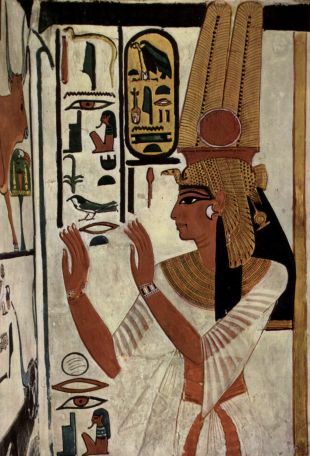 The tomb in which the interred cheese was found was identified as belonging to Ptahmes, mayor of the Egyptian city of Memphis in the 19th Dynasty which ruled Egypt from 1292 B.C.E. to 1189 B.C.E. The first pharaoh of the 19th Dynasty was Ramesses the First, which explains why the period is also known as the Ramesside period. The precise dates of things recorded in long-lost languages are not categorically certain. But based on the best estimates, Ramesses I – ruled but briefly, from 1292 to 1290 B.C.E. He was followed by Seti the First, Ramses the Second (a.k.a. 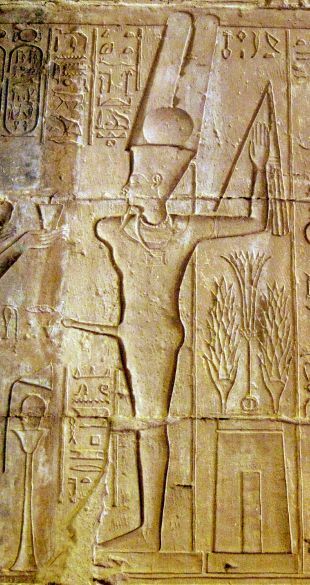 Ramesses the Great, who was married to the famed beauty Nefertari), Merneptah who would bring the Canaanites and Israelites much grief, Seti the Second, Amenmesse, Siptah and finally, Twosret. Ramesses II is credited with expanding Egypt’s sway as far as modern Syria to the northeast and Sudan to the south. 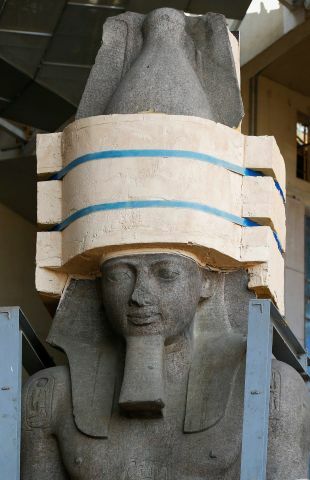 Ptahmes is believed to have been mayor of Memphis under the pharaohs Seti I and Ramesses II. 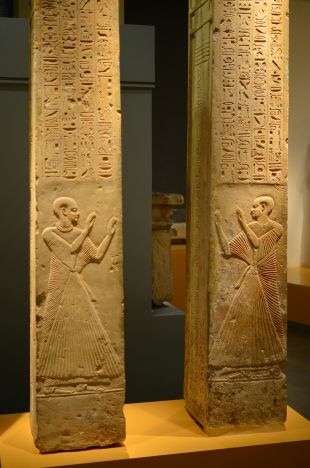 According to the interpretation of the hieroglyphs in his tomb, Ptahmes was also the military chief of staff, overseer of the treasury and a royal scribe as well – and was finally promoted to the spiritual realm too, becoming High Priest of the god Amun, one of the earliest deities in the region. Ptahmes apparently also had a weakness for cheese. Memphis was no backwater. 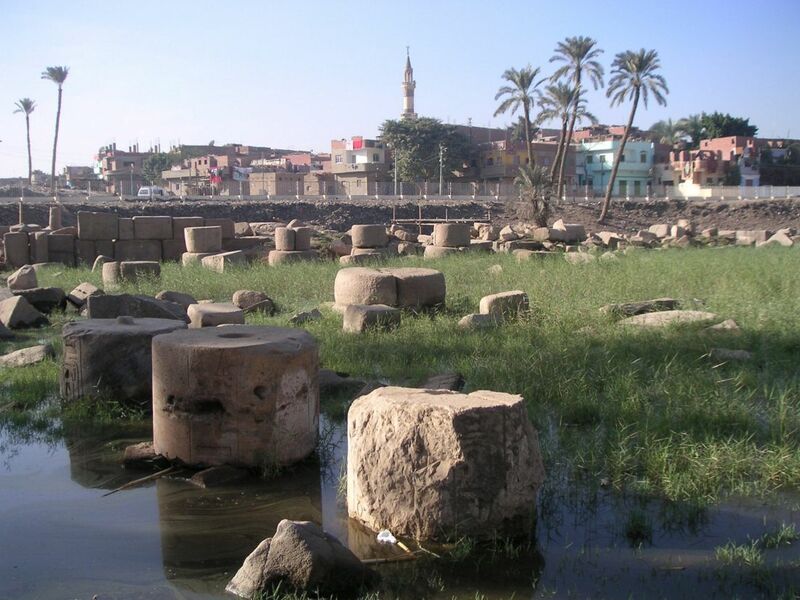 This riverside metropolis was the capital of Lower Egypt at the time. There is a legend that Memphis was founded by a pharaoh who may or may not have been named Menes, in the days of the Early Dynasty. Maybe it was, but the city seems to have existed in some form for over 5,000 years. Moving onto today, inside the deceased mayor’s tomb, the archaeologists found pottery jars, inside one of which was a substance that looked, even thousands of years later, like cheese. It was a “solidified whitish mass,” report the archaeologists. They also found a canvas cloth that might have covered the jar, protecting it from flies and passersby – or even covered the cheese itself at one point. Thousands of years ago, cloth was made in much the same way it still is – weaving, which could be quite elaborate. Finely made textiles with dyed stripes, more than 3,000 years old, have also been found in Timna, Israel at the site called “King Solomon’s copper mines”. The warp and weft of the textile indicated that it would be suitable to hold a solid, not a liquid. Back to the cheese. The researchers' conclusions as to the identity of the substance weren’t based on its similarity to undyed cheddar, but on chemical analysis. Normally a substance suspected to be ancient cheese would be analyzed based on fat, Greco told Haaretz. Indeed, lipids going back hundreds of thousands of years have been identified on stone tools used by prehistoric proto-people. But that wasn't an option in this case. On the one hand, the mysterious white mass had been preserved because it was inside a sealed-off tomb which had itself existed in a normally very dry environment, in the Sahara, Greco says. But the fat content was destroyed by the highy "aggressive environment" over the last 30 centuries, he explains. This desert site was periodically flooded, time and again, by the Nile River rising, and by rainfall. 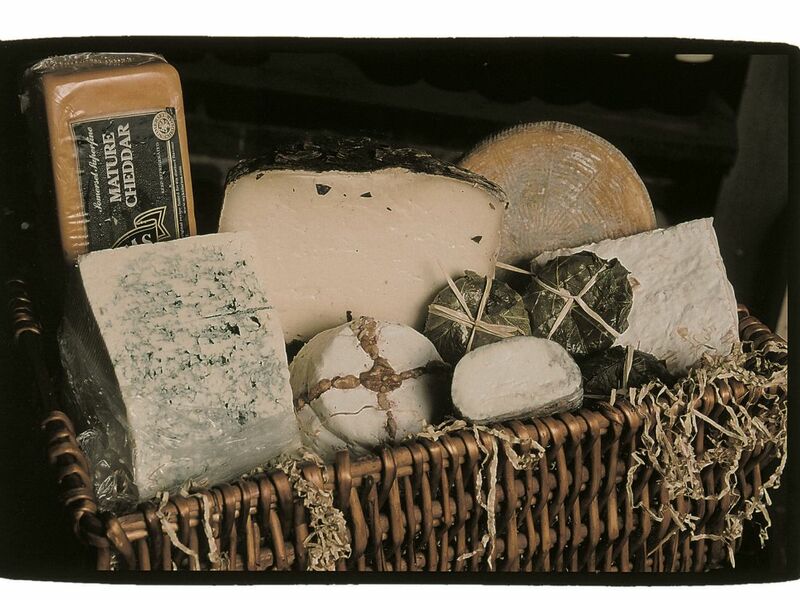 The water brought the alkaline soils in the area into the tomb, into the jar and into the very cheese itself. And they changed the chemical nature of the fat. Trying to find some in the sample, they came up blank, Greco says. Undaunted, they set out to invent a new protocol (technique): proteomic analysis of this ancient stuff. "It was a totally new protocol for this kind of sample;," he says. "With this technique we were able to identify very short, sometimes longer, peptide chains. ": Meaning, bits of proteins. The protocol involved dissolving a sample of the white mass, from which the scientists managed to isolate protein content and analyzed the proteins using liquid chromatography and mass spectrometry. "After recognition of the peptides we were able to compare with very large database and to know exactly which proteins were in the original specimen," Greco says. Lo, the protein chains they detected were identified as coming from milk of African buffalo, and sheep and goat. The hardy goat and the much more delicate sheep had been domesticated something over 10,000 years ago in Mesopotamia, but had long since reached ancient Egypt. Greco has high hopes for the technique they invented, not only in identifying ancient food fancies, but in solving murder. "It might be possible in the future to use this analysis to recognizer proteins in contaminated crime scenes where DNA can't be found," he says. Anyway, absent other identified proteinaceous markers, and under the circumstances, the scientists decided the jar had held a dairy product that had been a hard cheese. Predictably, the cheese hadn’t been pasteurized, and other proteins detected in the sample seem to have come from the bacteria Brucella melitensi, which causes gut pain, muscle cramps, night sweats and other joys. This potentially deadly zoonotic disease is typically caused by eating unpasteurized dairy products. Sad.